Both crack and cocaine are drugs which come are derived from the leaves of coca plants (Erythroxylum coca). Coca plants are native to South America. Coca in its natural form is relatively harmless. The dangers lie in its refinement into cocaine. This process is done by soaking the leaves of the plant and then crushing them finely to mix into a paste. Often, the leaves are sprinkled with cement, soaked in gasoline, ammonia, or other chemicals which extract the properties for which cocaine is known. After being stirred in the solvent mixture for long hours, it is strained and cooked until all liquid evaporates. A paste results, and is sold to manufacturers who then process it even further into powdered cocaine. Crack is “cooked” powdered cocaine. The high-quality powder cocaine gets mixed with hot water and baking soda. This mixture sizzles or “cracks” upon being heated– hence the name crack cocaine. This mixture soon forms into a solid or rock-like substance. Crack cocaine is most often smoked or injected. Cocaine use can lead to severe and sometimes fatal physical responses. Side effects include immediate cases of high blood pressure and rapid heart rates which sometimes have the potential to elevate to deadly levels. Cocaine comes in the form of a fine powder which most often gets consumed by being snorted through the nose or by being dissolved in water and injected into the veins. It is also a stimulant drug that gives you a powerful high feeling leading up to euphoria and causes severe hyperactivity and talkativeness. The more you take this drug, the more tolerant your body begins to be, and dependence starts. Cocaine use is usually never the same as the first try. Cocaine and crack users may always feel the need to have more and more to obtain the same level of high or even a higher feeling. Eventually, over time, your brain becomes unable to function correctly without it. This stage escalates into a full-blown addiction. Crack is made by cooking the raw cocaine powder and mixing it with baking soda and water. Crystallized pieces form, and break up into small fragments called rocks. Its name comes from the cracking sound it makes upon being exposed to heat. This harmful drug is abused most often by being smoked, using a pipe. Since crack is the cheaper form, this makes it even more dangerous to teens and young people. It is more well-known among more impoverished communities as well, since it is easier to afford and find access to than cocaine. Due to its high concentration, crack is also more lethal and is often as low as 75% up to 100% pure. The effects of crack aren’t as long-lasting as cocaine. Therefore, this makes its results more difficult to manage, creating a drug-addicted individual more susceptible to an overdose. Since cocaine is a stimulant, it produces rapid, intense feelings of power and energy. These feelings last much longer than crack does. Regular cocaine users often resort to using crack when the high ends becoming as fast-acting or as potent as they’d like it to be. Crack, although its effects can be felt instantly upon entering the body, gives a much shorter-lived high than cocaine. For this reason, any drug dependent user can experience feeling depressed and nervous once the desired effect wears off. Although it’s not as familiar, cocaine (and crack) can get a user hooked in as little time as trying it just once. Because cocaine is much more expensive than crack, it is usually referred to as the “rich man’s drug.” On the other hand, crack is more well-known in lower-income communities. Cocaine is not as easily accessible as crack. Crack and cocaine are some of the most concentrated and dangerous processed drugs that exist. Both can cause the user harm, both temporarily and permanently. Chronic crack cocaine use can lead the user to be a danger to themselves, others, and loved ones. If you are a user or anyone you know is suffering from a drug addiction, please seek immediate professional help. If you or a loved one is suffering from crack cocaine addiction our addiction hotline may be able to help. 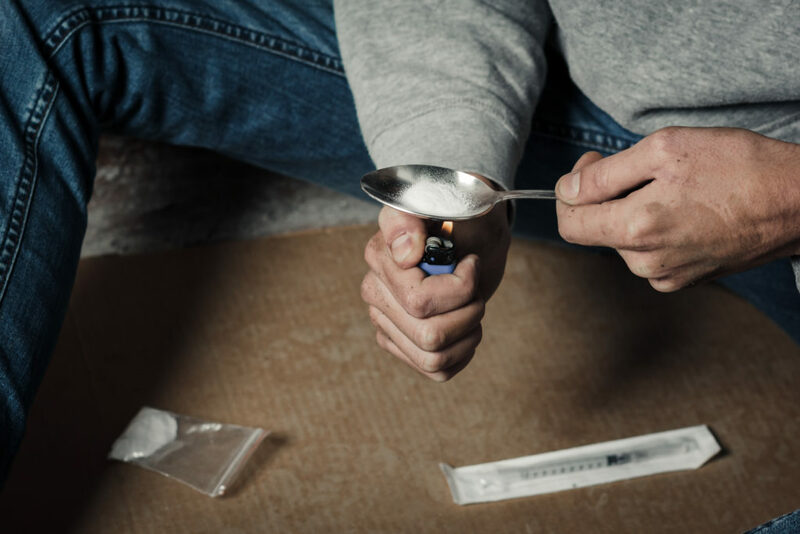 Addiction to crack cocaine is a complex issue and sometimes requires you or your loved one to seek help at a drug rehab, substance abuse treatment center or residential treatment center.